Monteleone winery in Sant’Ambrogio Valpolicella. 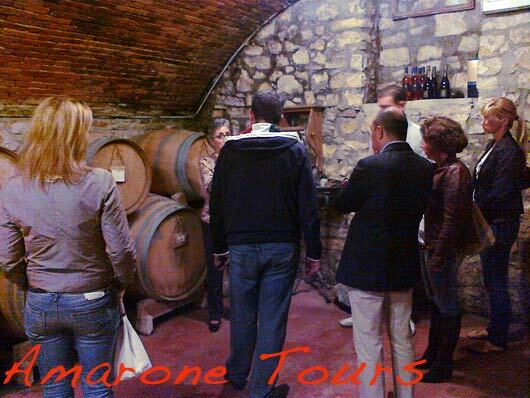 Today our full day wine tour takes us to a very specific area of Valpolicella: Sant’Ambrogio. Sant’Ambrogio is one of the five towns that constitute Valpolicella Classica, the historical wine producing region of Amarone, Recioto and Ripasso. Sant’Ambrogio is in the eastern side of Valpolicella, just before the gentle slope that takes you down to lake Garda and a completely different wine producing area: Bardolino. In the territory of Sant’Ambrogio, close to the border with Fumane, there is the hill of Gargagnago, on which we find quite a few interesting wineries. Today we choose two small family run wineries with very small production all focused on quality. The first in Gargagnago a hill on the border between Sant’Ambrogio and Fumane in which we find quite a few interesting wineries such as Serego Alighieri, Masi, Corte Aleardi. The second is very close to the village of Sant’Ambrogio. Villa Monteleone is a small winery owned by Ms Lucia Raimondi who was led here almost twenty years ago by her passion for wine. The estate is made of less than 20 acres of vineyard of typical Valpolicella grape varietals. We came that harvest had just been completed and grapes were all inside the newly built drying builiding few minutes drive from the villa. The tour includes a visit to the drying center and to the barrique cellar. At Villa Monteleone they are using both the French oak barrique and the more traditional 600 and 1000 literes casks. The tasting includes Valpolicella Classico, Valpolicella Superiore Ripasso, Amarone and Recioto in the ground floor of the beautiful villa. Today we tried the 2006 Amarone. We organized lunch in San Giorgio, a small village on the hill overlooking Sant’Ambrogio and the whole Valpolicella. From a small terrace in the center of the village it is possible to have a clear view of Lake Garda and the “sea” of vineyards that covers the hills and the valleys of Valpolicella Classica. The village was an important religious center even before the Roman colonization of Northern Italy. The Romans built here a temple dedicated to Flora, the goddess of nature and agriculture. The remains of the tamples were covered by San Giorgio parish church, an ancient and austere Romanesque building dating back to the 8th century. We ate at Rosa Alda restaurant in San Giorgio. In Summer it is possible to eat outside on the nice terrace. The menu includes hand made pasta and traditional recipes such as horse stew with polenta and bean soup. Being October they also had fresh truffles of Lessini mountains and mushrooms. Excellent wine list with many wines from local producers. Our second winery after lunch break was Meroni, on the road that links Sant’Ambrogio to San Giorgio. 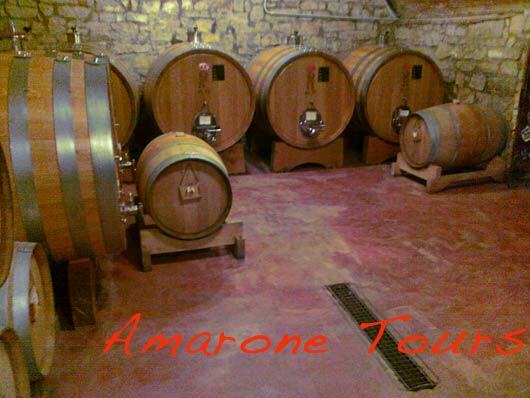 Meroni is a small winery run by its young owner, third generation of wine makers. The 20 acres of vineyards are litterally in the back yard of the small villa. Corvina, Rondinella and Molinara are the only grape varietals used. Thanks to the position of the winery at the bottom of San Giorgio hills, the constant breeze let them have a completely natural drying of grapes.